Note: Since July 2014, downloading of the genome sequence v3.5 can be performed without previous registration. For MELONOMICS registered users, the login options are now disabled. 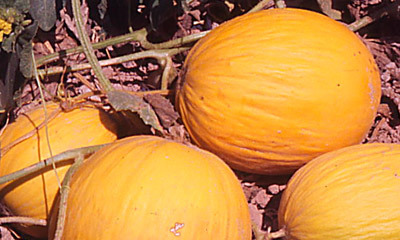 Melon (Cucumis melo L.) is a cucurbit with high economic impact and a well-known and appreciated product in Europe. Spain is the fifth world producer and the main exporter. Genoma España, a Governmental Foundation that promotes the development of research in Genomics and Proteomics, funded in 2008 the Project: "Development of genomic tools in Cucurbits, including the sequencing of the melon genome and its application for breeding these crop species", "MELONOMICS". Sequencing and annotation of the melon genome. Development of genomic tools for the characterization of Spanish melon varieties. Development of functional tools for the search of natural resistance to pathogenic fungi. 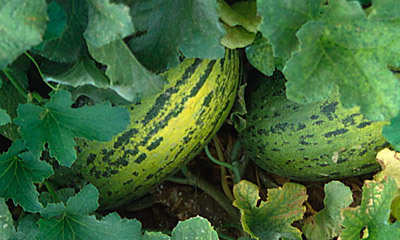 Generation of a collection of new melon varieties with agronomically interesting traits. The MELONOMICS Project is funded by the public sector, represented by Genoma España and five Autonomic Governments (Catalunya, Madrid, Andalucía, Murcia and Castilla-La Mancha), and the private sector (Semillas Fitó S.A, Syngenta Seeds S.A, Roche Diagnostics S.L., Sistemas Genómicos S.L. and Savia Biotech S.A.).